Yield: Yields about 2 cups scraped granita. Combine the red wine, 1/2 cup water, and sugar in a medium saucepan. Bring to a boil over medium heat. Boil for 1 minute. Remove the pan from the heat and stir in the orange and lemon juice. Let cool. Pour the wine mixture into a 9-inch-square shallow baking pan. This pan size works best ­because it provides a large surface area, a key point in speeding up the freezing process. To further hasten freezing, use a metal pan (metal conducts cold well). Put the pan in the freezer and stir every 30 min., being sure to scrape the ice crystals off the sides and into the ­middle of the pan, until the mixture is too frozen to stir, about 3 hours, depending on the individual recipe and on how cold your freezer is (some granitas can freeze in as ­little as 1 hour). 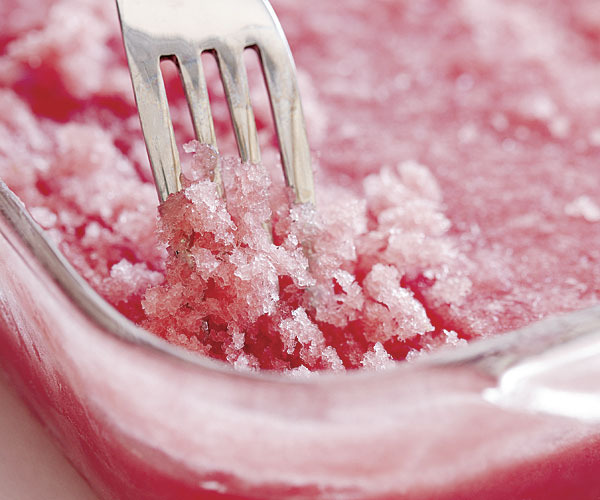 Use a large dinner fork to stir and scrape; the tines are perfect for breaking up ice crystals. Cover the pan with plastic and freeze over­night. 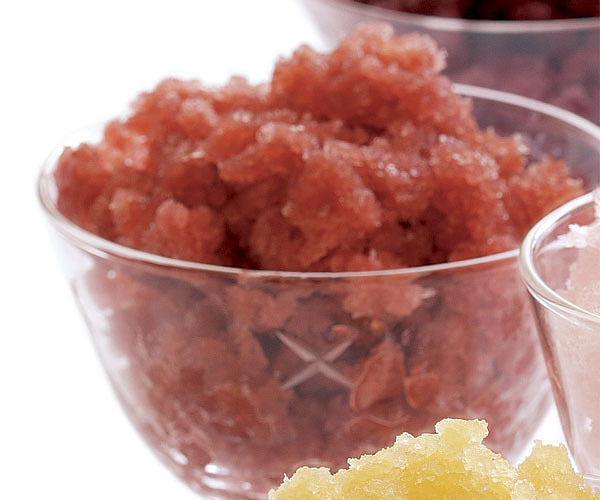 When ready to serve the granita, place a fork at the top of the dish and pull it toward you in rows, moving from left to right ­and rotating the pan as well. 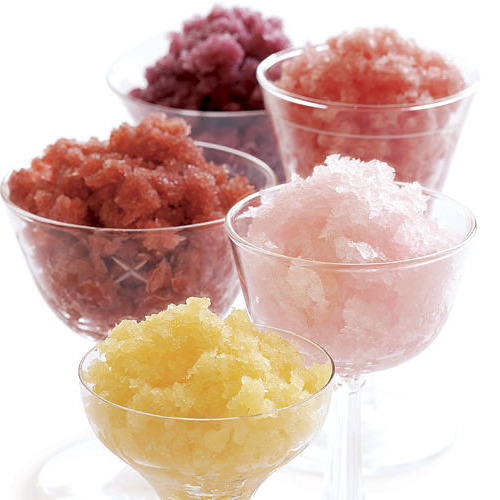 Scape up the shaved ice and fill your chilled glasses or bowls. I used the recipe exactly, using our homemade Cabernet-Barbera blend. The quality of the wine comes through the sweetness. It was a nice taste hit along with a paella. Thanks!